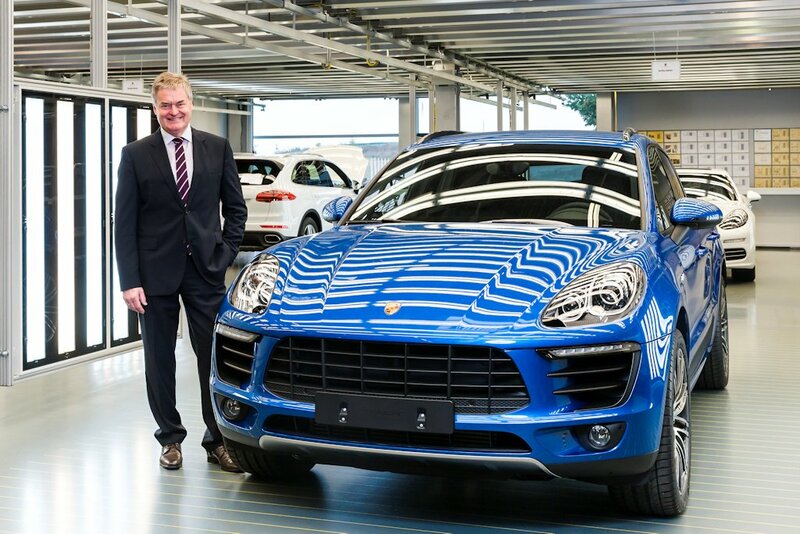 Since the Macan was launched in 2014, it has been a phenomenal success for Porsche. It is one of the best-selling models for the brand in 2015 with 80,216 units sold, opening the door to new customers. It applies heavily to the Asia-Pacific region as the Macan contributes substantially to Porsche’s success here. The Porsche Macan has its home in Leipzig located at the eastern part of Germany, where the Cayenne and Panamera are produced too. 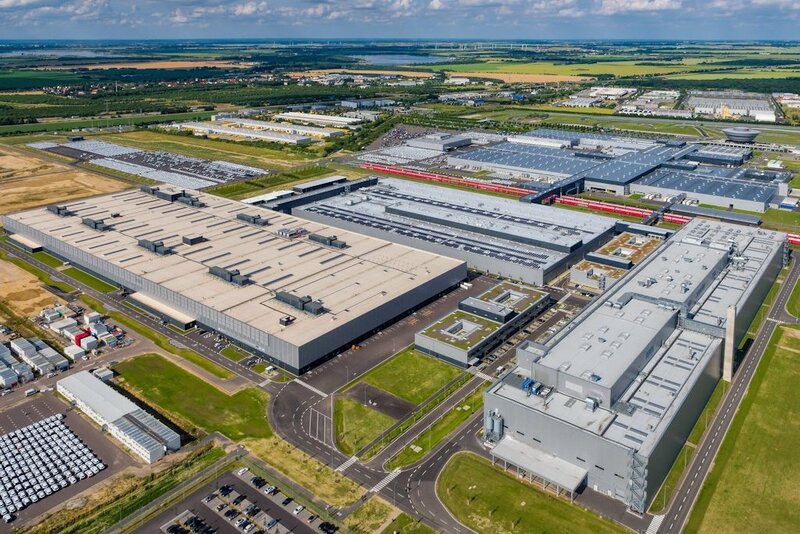 Between 2011 and 2013 the sports car manufacturer invested more than 500 million Euros (522 million US dollars) and recruited an additional 1,500 employees to expand its plant which included building an ultra-modern paint shop and a dedicated body shop. With the latest expansion of the factory for the new Panamera, the site grew up again to more than 4,000 employees. The Leipzig region is now one of the world’s most attractive and innovative automotive locations. Porsche Leipzig is not only a business, but also a treat for car enthusiasts with a racing circuit and off-road course. More than 47,000 people visited the Customer Centre last year – to collect a vehicle, as a participant in adventure programs, or as part of events. The 5,200 square-meter Customer Centre is visible from far away: the ‘diamond’, a 32-metre high tower in the form of a gemstone standing on its tip is the architectural signature of the Porsche factory in Leipzig. “Porsche Leipzig realized its biggest expansion project to date with the Macan. For the compact SUV, the site has been developed from an assembly factory to a full-fledged factory with its own body shop and paint shop. It was an outstanding milestone for the young Leipzig production site.” explains Siegfried Bülow, President and Chief Executive Officer of Porsche Leipzig GmbH. High-volume production with the same degree of customization as individual handcrafting methods: Porsche Leipzig sets new standards in production. Thanks to the sophisticated Porsche production and logistics system, all the Cayenne, Panamera and Macan models can run together on one assembly line. The entire production at the Leipzig factory combines the lean production concept, intelligent logistics, and IT systems guaranteeing high-performing production and quality. 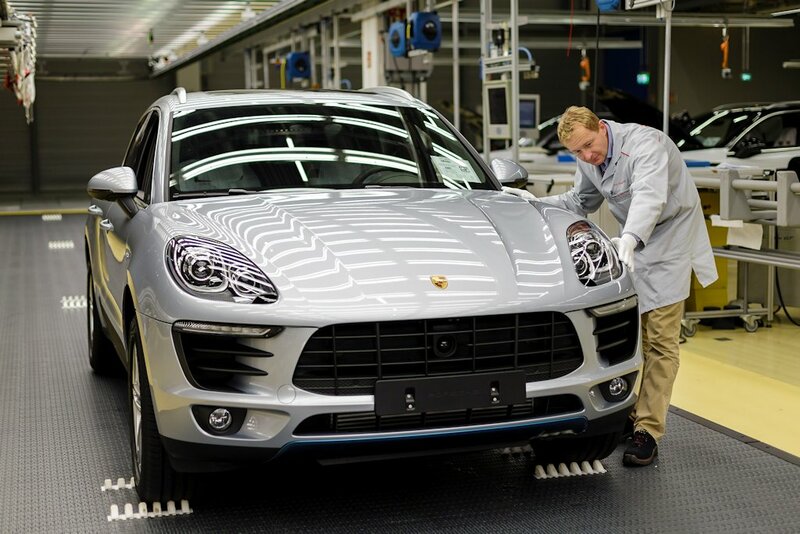 At the body shop, 387 robots perform about 6,000 welds in each Macan body. It has a floor area measuring approximately 35,000 square meters, which is nearly as large as five football fields end to end. It is here that the 500-kilgoram body of the Macan with its extremely high torsional rigidity is manufactured by a mixed aluminum-steel method, putting together 386 individual parts. 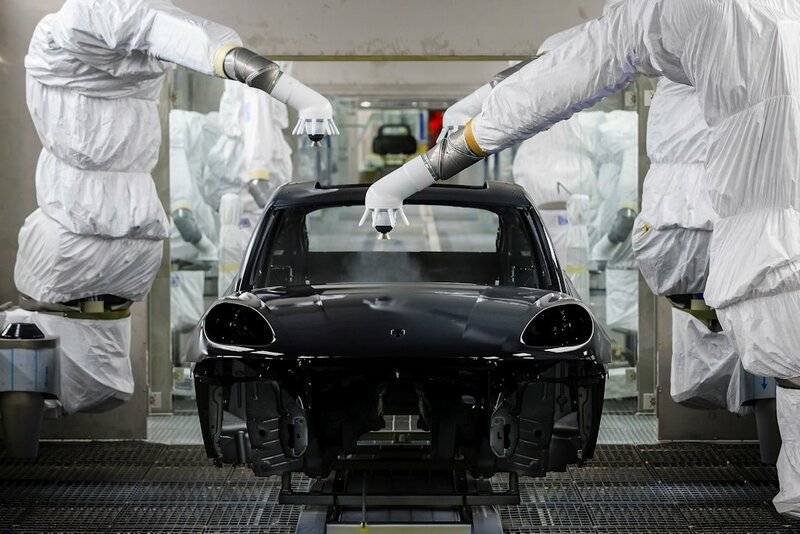 After that, it takes around 15 hours for the Macan body to run through all phases of the paint shop, and it is painted in one of a current selection of eleven colors. Upon request, customers can order the Macan in any conceivable custom color. The paint shop is also one of the most energy efficient in the world. An example: 80 percent of its heat requirements are covered by waste heat from an external biomass powerplant. Even with the complication of all three models running on the same assembly line, each Porsche car is made to order with different specifications, down to the colors and leather stitching. However, the cycle time in the assembly line at Porsche Leipzig – the amount of time a Macan remains at a single production station – is only two minutes, involving 235 individual cycles. During this time, the doors, interior, underbody, exterior, chassis, and powertrain are put together. The final assembly then follows where assistance systems are brought to life, the chassis is fine-tuned and the headlight settings are checked. In a final step the engine is started for the first time, the body is examined for leaks and – after a drive on the test track – the vehicle leaves for final inspection. Finally, to ensure the highest quality, Porsche brings together all areas of vehicle optimization in a 6,000 square meter quality center with ten measuring machines. All external skin panels are visually evaluated and rated here for the Macan and Panamera models to ensure the dimensions of the bodies are completely accurate. Each workday, 25,600 pallets are delivered to the Leipzig factory like clockwork in about 550 heavy goods vehicles: within production, capable and highly efficient logistics are a crucial key factor. Logistics face the major challenge of managing the variety of vehicle equipment and providing precisely the right material for the right vehicle at the right time, and this is overcome with the just-in-sequence method of the Porsche production system. From start to finish, the Macan was developed, tested and built in keeping with the Porsche philosophy. The end result is the first sports car among compact SUVs, built at Porsche Leipzig and subsequently delivered to customers all over the world to enjoy.